In a company, payroll is the sum of all financial records of salaries for an employee, wages, bonuses and deductions. In accounting, payroll refers to the amount paid to employees for services they provided during a certain period of time. 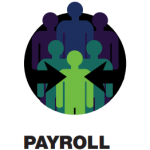 Payroll plays a major role in a company for several reasons. From an accounting perspective, payroll is crucial because payroll and payroll taxes considerably affect the net income of most companies and they are subject to laws and regulations. Our Payroll service ensures that all employees are paid accurately and on time, and that companies have all data necessary regarding withholdings, deductions and payments of related taxes and social security contributions. In this manner, the highest level of employee satisfaction is maintained and companies are safe in the knowledge that they are compliant with all local regulations.